Recent extreme events and climate modelling show that climate-induced events – including storm surges, intensifying cyclone events and extreme rainfall episodes – are set to worsen in the Pacific Island nation of Tonga. In response, the Government, with support from UNDP, is developing a project to address short-term vulnerability and build long-term resilience in coastal areas in the country. With Green Climate Fund financing being sought it is expected that 16km of vulnerable coastlines will be protected from immediate climate change and that the long-term resilience of an additional 12km of coastlines will be enhanced. The interventions will deliver direct and indirect benefits to more than 10,144 people (9.8% of the total population) and 14,961 people (14.5%), respectively. Last month, from 6-21 February, representatives from the United Nations Development Programme (UNDP) and Tonga’s Ministry of Meteorology, Energy, Information, Disaster Management, Environment, Climate Change and Communication (MEIDECC) traveled to the islands groups of Ha’apai, Vava’u and Tongatapu to conduct stakeholder consultations with community members. The goal was to further inform the design of the proposed project currently being prepared for submission to the Green Climate Fund. The team sought to verify communities’ preferences, as identified through previous community consultations and scoping missions to Tonga, along with their benefits and drawbacks, for addressing coastal erosion associated with storm surges and sea-level rise and building long-term resilience in coastal areas of the country*. The consultations in Ha’apai took place in Pangai, Ha’ato’u, Hififo, Holopeka and Koulo, on the main island of Lifuka. Stakeholder consultations across the Vava’u island group were conducted in 20 communities, divided into five districts districts - Neiafu (Neiafu, Neiafu Tahi and Toula); Pangamotu (Pangamotu, ‘Utulei, ‘Utungake), Hihifo (Longomapu, Tefisi, Vaimalo), Hahake (Ta’anea, Tu’anekivale, Holeva, Koloa) and Motu (Kapa, Falevai, ‘Otea, Lape, Matumaka, Nuapapu, Hunga). In total, 538 residents were consulted through 11 sessions, with 36% of those taking part male, 42% female and 22% youth (between 15 and 34 years old). The consultations were successful in further clarifying community needs, priorities and interests. Participants of the Ha’apai and Tongatapu consultations expressed strong support to have a rock revetment structure in place. One concern of the coastal community residents in Ha’apai and Northeastern and Northwestern Tongatapu was accessing the coastal area during and after the construction of a rock revetment structure. In response, UNDP proposes to provide boat ramps in affected locations to facilitate smooth access of the coastline. Through the consultations in Vava’u, several baseline development needs emerged, as well as priority interventions. The consultations highlighted the need for sediment control-measures. Consensus also emerged around the need for implementation of existing sustainable land management plans and land management practices. Communities expressed interest in planting activities, plant nurseries and coastal restoration works. “In Ha’apai and Northeaster and Northwestern Tongatapu, the communities are willing to take part in monitoring of rock revetment structure. It is important for them to be involved in monitoring from the beginning to end of the project in order to ensure successful implementation." Two promising findings of the discussions was confirmation of strong interest in learning new agricultural practices and in taking part in climate change awareness programmes (increasing communities’ knowledge of impacts and how to adapt); and building the capacity and involvement of youth in monitoring activities and coastal restoration work. As a result of the community consultations, the project proposal has been revised to enhance investments in building community capacity and training opportunities in ecosystem/environmental monitoring and management made available to least 50 officers (25 men and 25 women) and at least 70 individuals from the local governments, local committees, youth/women’s groups and community members. Drawing on the community consultations, a Stakeholder Action Plan for the project has been designed by UNDP and MEIDECC, defining specific actions and levels of involvement for community members. The consultations also helped in designing a Gender Assessment and Gender Action Plan, with particular attention to women and youth groups. 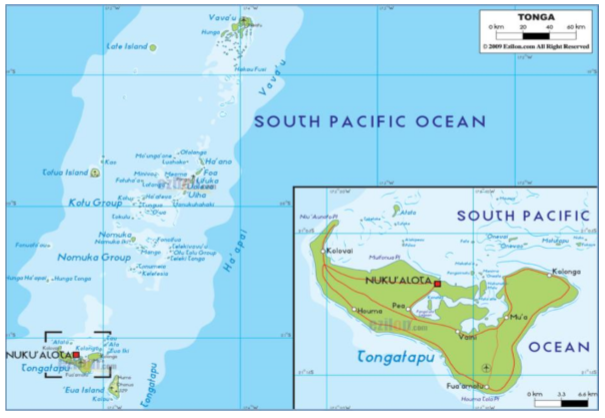 The proposed project, to be submitted to the Green Climate Fund for funding, builds on past community consultations and ongoing partnership of the Government of Tonga with, inter alia, UNDP and Secretariat of the Pacific Regional Environment Programme and other multilateral agencies such as the Asian Development Bank and European Union. *In April/May 2013 public consultations as part of the Pacific Adaptation Strategy Assistance Program (PASAP) were held in Ha’apai. The aim of the consultations was to inform communities and present the proposed mitigation options, giving the opportunity for community members to select their preferred option. For more details, please see the full report.